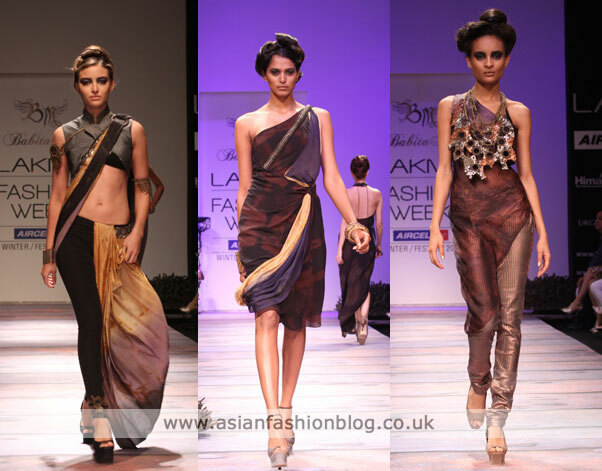 Asian Fashion Blog Review of 2011 - my year in asian fashion! 2011 started as it always does, with a rush of asian wedding exhibitions across the country. This time though, I wasn't just attending out of interest and for blog articles, I had a year packed full of close family weddings to think about too! I had the pleasure of a front row seat for the all-important fashion show at this event so I got a great view of all the outfits. 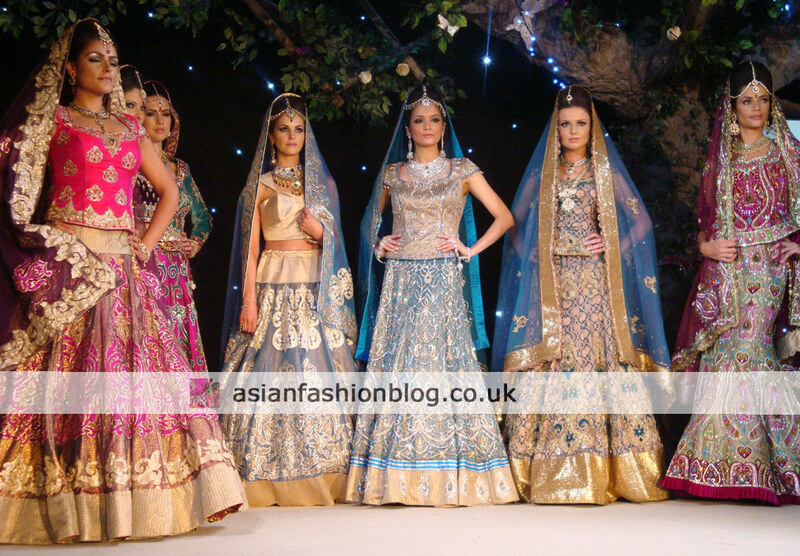 Ekta Solanki and Ziggi Studio were my two favourites from this event, read my review of the event here: Asiana Bridal Show London 2011 - first look. The first wedding of the year for me was my cousin's. 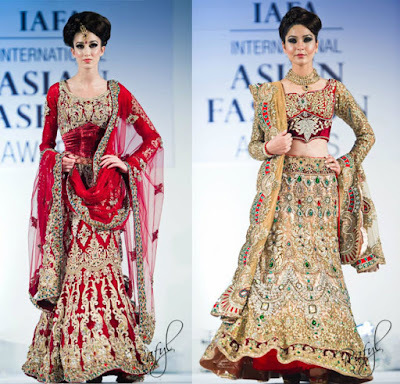 She was every bit the designer bride, from her Jimmy Choo shoes and matching bag to her red and gold bridal outfit by Mehdi and her pastel-shaded Maria B walima outfit. Now onto what I wore! Well my outfits weren't anything special really, not like the outfits I blog about, however I did make an extra special effort with my styling and I'm a firm believer that the right hair and make-up can turn an average outfit into an amazing outfit! So here's a little montage of the looks I rocked for this wedding, including the "necklace in hair" look (which personally I think is a little bit overdone right now). Credits go to my hair and make-up artists, Make up by Mus for the green outfit, and Huda Ahmed for the other two looks. 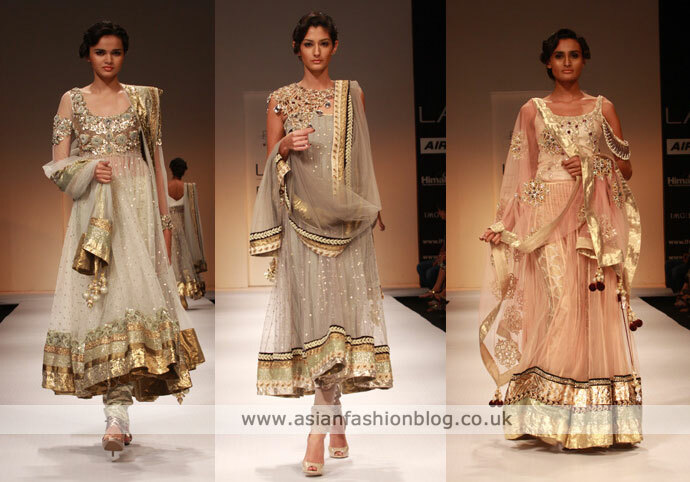 All three outfits were purchased from Southall, London and my necklace/hair piece was from Kyles Collection. 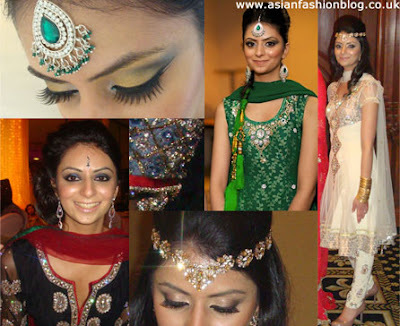 Following the success of the tv show "big fat gypsy weddings", BBC Northwest decided to do a feature on asian weddings. 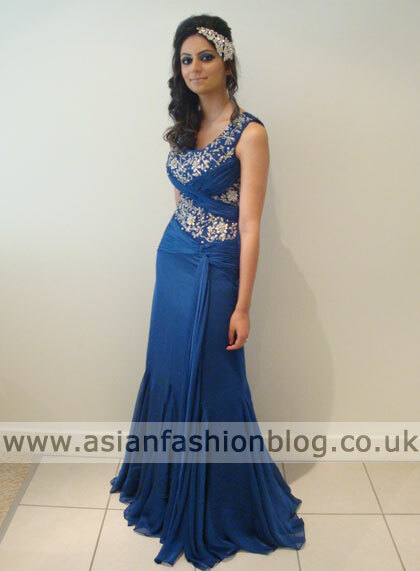 The research team at the BBC found my blog, approached me, and the next thing you know I was walking and talking round Manchester's Asian Wedding Exhibition whilst being filmed. 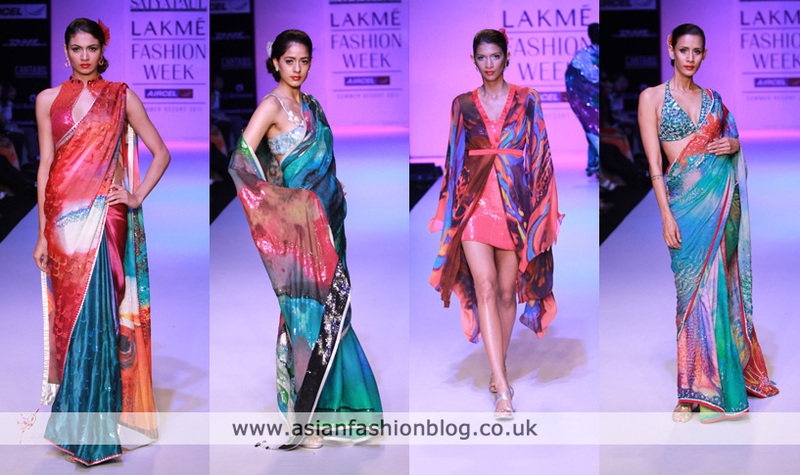 I blogged about a few of the collections at the Summer/Resort 2011 Lakme Fashion Week in India, and my favourite was this collection by Satya Paul. 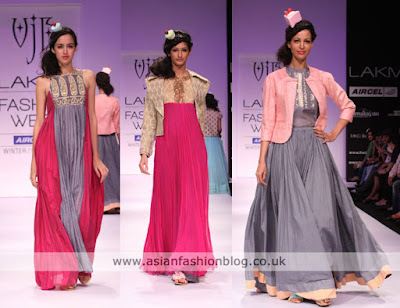 Perhaps not to everyone's taste, and some of them seemed a tad unwearable, but I loved the theme and the colour inspirations. View more photos from this collection here. April was also the month the Royal Wedding took place. As sad as this may sound, I was glued to my TV from very early on that morning, keen to see what all the guests, famous and non-famous, would be wearing. 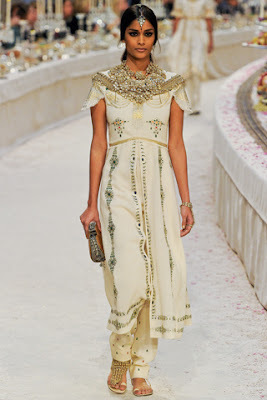 I even spotted a few asian outfits at the royal wedding! 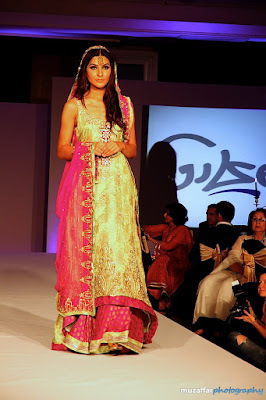 When US TV show 90210 featured an Indian wedding in their season finale my eyes were on the fashion. 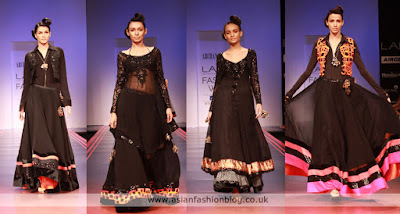 One outfit in particular caught everyone's attention, and even now, months after the show was aired in the UK and even longer before that in the US, I still get hits from people typing variations of "90210 naomi sari dress" into google. View more outfits from that episode, including the bride, here: An Indian Wedding in 90210. 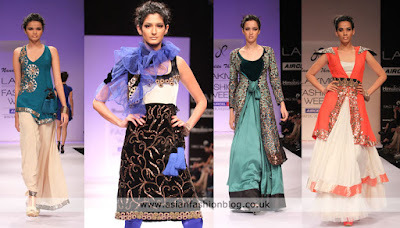 The 2011 Pakistan Fashion Extravaganza took place in London again this year and featured collections from a range of top Pakistani designers including Nickie Nina, HSY, Faiza Samee, Asim Jofa and Maria B. There were over 150 outfits on show so it's almost impossible to choose just one favourite, but looking back at the photos, this gold and blue HSY outfit still makes me think "wow" even after all this time! July brought with it two more weddings, both close friends this time. I had a maxi dress in my wardrobe which I'd been saving up for a summer wedding and this was a perfect opportunity to give it a debut. 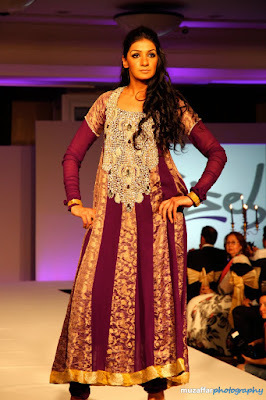 I actually bought the dress in October 2010 on a random visit to Birmingham. I don't usually make impulse purchases like this, but I saw it, I liked it, it fit without needing any alterations (a rare thing for me!) and I happened to have a spare £250 in my bank account at the time! 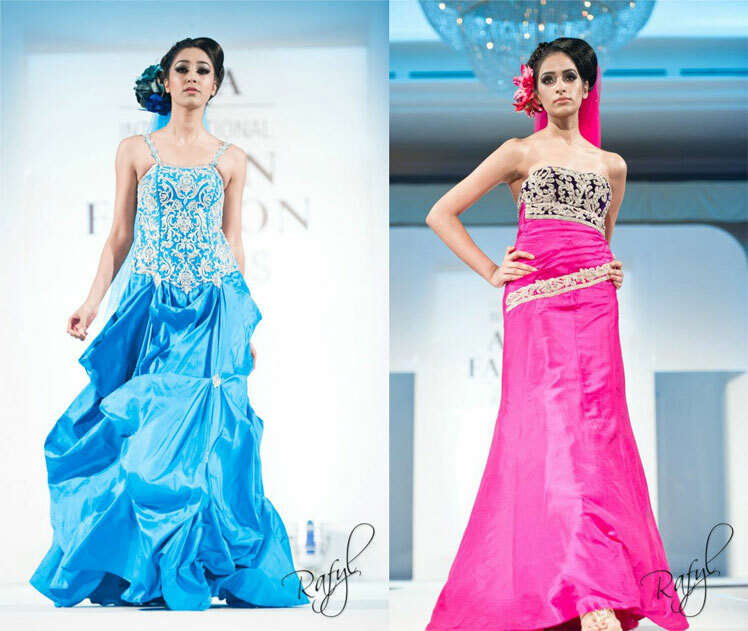 Dress from Zoya, hair and make-up by Huda Ahmed. September felt like a month-long wedding! There were four separate events, two in London, two in Manchester all spread out from the first to the last weekend in that month. 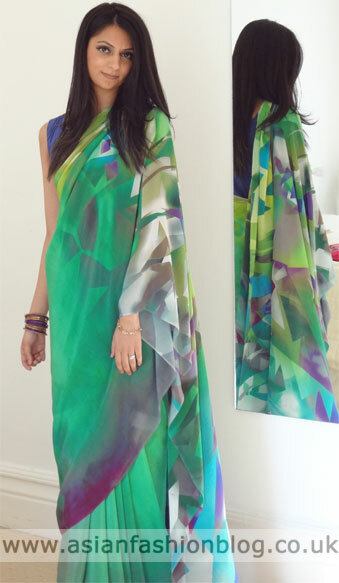 Earlier on in the year I had purchased my very own Satya Paul sari from the store Phulkari in London, and this event was the perfect opportunity to wear it. I was very pleased with how it looked and I'm so in love with the print. Photography and Videography for this wedding was provided by Amir Shah, he's created this trailer for the full video which amongst other things, features a little bit of me wearing red at the mehndi! 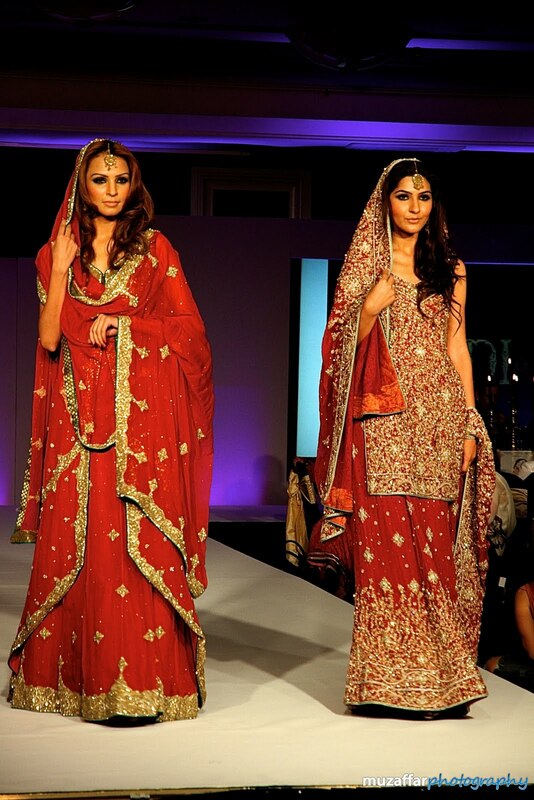 Gohar & Nishat from Amir Shah on Vimeo. 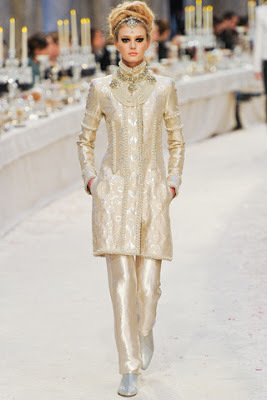 The fashion show in Paris for Chanel's pre-fall 2012 collection caught the eye of fashion bloggers all over the world, and even more so for asian fashion bloggers like myself who loved the fact that such an iconic brand took inspiration from asian fashion. View more of my favourites from the show here. 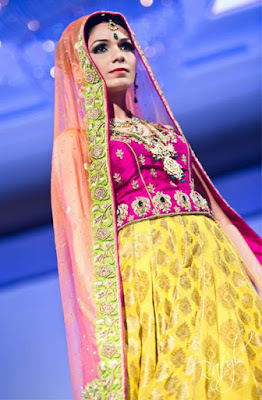 My 2012 is going to start, like 2011 did, with asian wedding exhibitions! I'll be attending The Asian Bride Show and the Asiana Bridal Show, both taking place in London over the same weekend - very convenient for asian brides-to-be and fashion fans who don't live in London! As well as all the fashion shows and fashion weeks, I'm looking forward to trying out some of many online asian fashion retailers who have appeared recently. 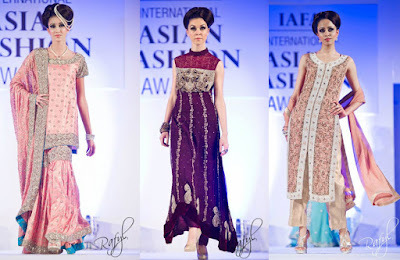 I've already tried out Bombaypink.com, and look out for reviews of asian childrenswear store RubyRani.com and make-up store Pure Halal Beauty. 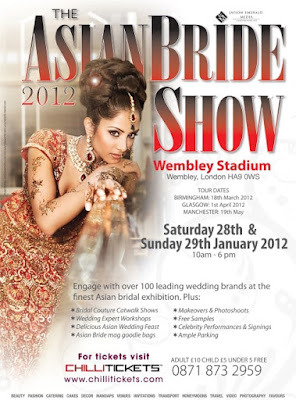 The Asian Bride Show 2012 in London - book your tickets now! Brides-to-be and fashion fans take note - the 2012 Asian Bride Show is taking place in London over the weekend of 28th and 29th January. 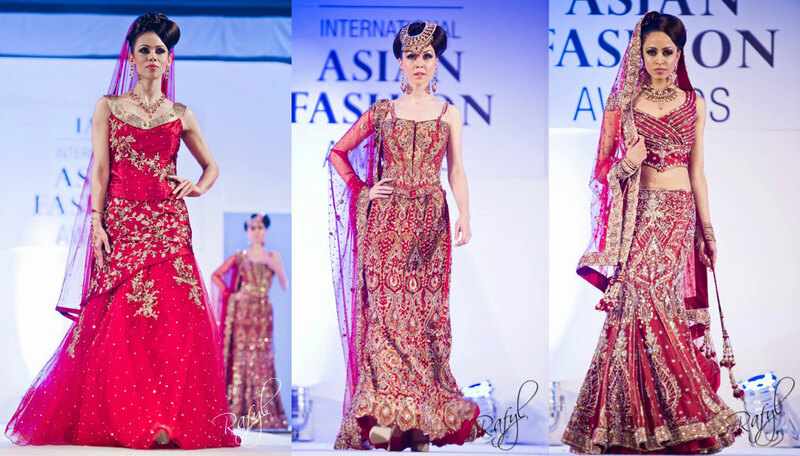 Supported by the team behind Asian Bride and Asian Woman Magazine, this event promises to be "THE UK'S BIGGEST AND BEST ASIAN BRIDAL SHOW". Now I must admit, in recent years I haven't attended any of the previous Asian Bride shows run by this company, so I'm really looking forward to seeing what the show has to offer and all the beautiful asian fashion. The big draw for me will of course be the fashion show, held twice each day, the catwalk show is open for all visitors to view - there's no additional fee to watch. 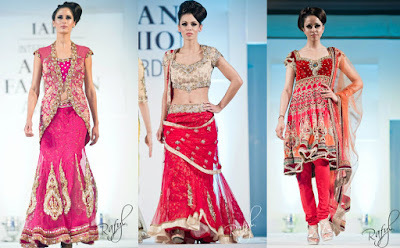 Tickets are available to book now from ChilliTickets.com and for more updates on the event, check out the Asian Bride Show facebook page. 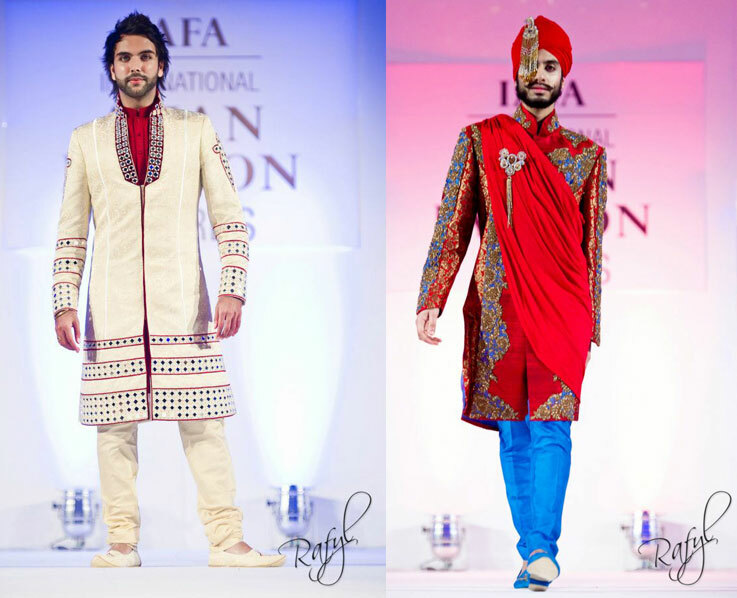 Here's a selection of the outfits showcased by designers Mehdi and Gulzeb at the 2011 Rhythm of Asia fashion event which took place at the Midland hotel in Manchester. 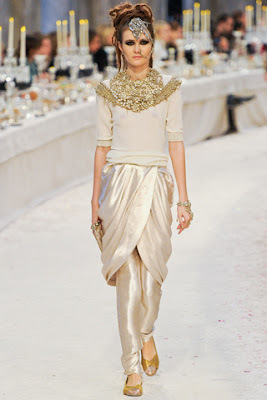 It was great to see some asian-inspired fashion on the mainstream fashion blogs and newspapers today, all courtesy of Chanel and their pre-fall 2012 collection. 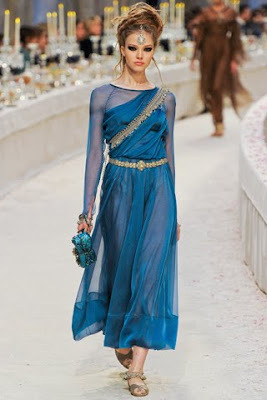 If I had to pick a favourite from all of the beautiful outfits, it would probably be this one below, I can totally imagine myself wearing this...in my dreams! On a recent holiday, I was lucky enough to have a stopover in Dubai. I had heard there was a store that sold asian designerwear in Dubai called Studio 8 and so I made plans to visit! 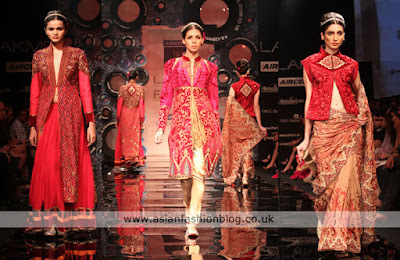 Studio 8 opened in Dubai in April 2009, and was originally a Manish Malhotra flagship store. The store now houses a comprehensive range of different Indian, Pakistani and Middle Eastern designers. Now my Dubai geography isn't great, but Studio 8 was pretty easy to get to, it's located opposite one of the Dubai shopping malls - Mercato Mall, so all we had to do was ask our taxi driver to take us to that mall. The full address is: Villa no. 3, Jumeira Beach Road. There seemed to be lots of staff, but I think we were the only customers at that time. The staff were attentive, but not too "in your face", I told I'd come all the way from England to have a look around and they left me to my browsing! Unfortunately they didn't allow me to take pictures inside, as expected from a store like this. Perhaps if I'd mentioned the fact that I blog they might be have let me take some, but I wanted to get a "genuine" customer experience so I kept schtum about my blogging! Now onto the clothes! There were a few designers whose outfits I'd seen in person before, such as Asim Jofa, but my main reason for visiting was to touch and feel and see up close the Indian designwear collections which are a bit harder to come across in the UK. First up was Suneet Varma whose outfits really had that wow factor for me, they looked amazing and incredibly wearable at the same time. 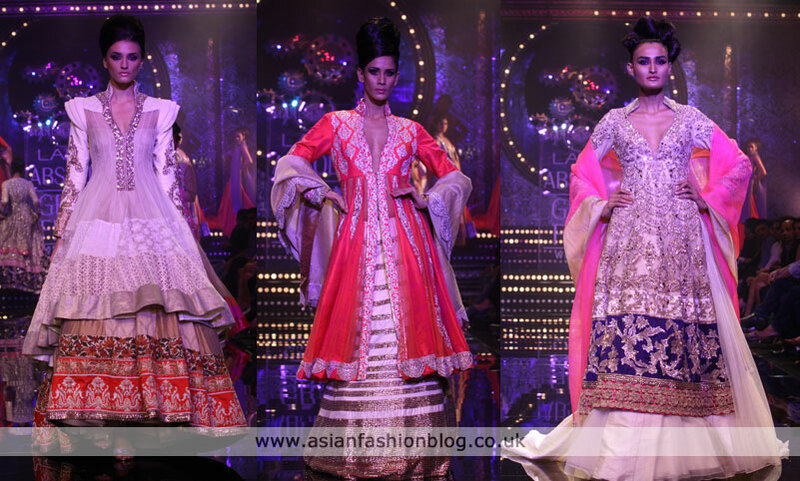 Housed in a room of it's own was the Manish Malhotra collection. Considering this store used to be a MM flagship store, it's not surprising that this designer had a whole section dedicated to his work. 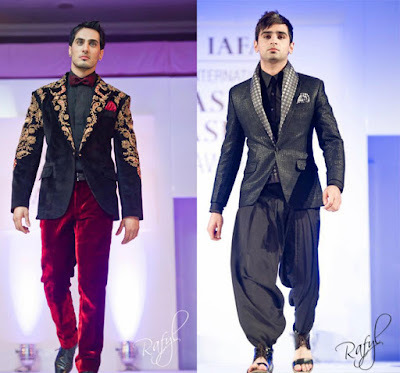 Rails full of his outfits, from lenghas to anarkalis. I have to tell you they look just as good up close and in person as they do on the catwalk. 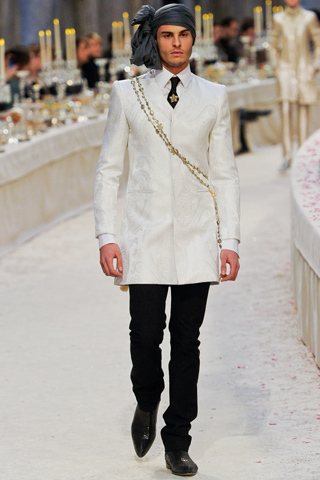 I had taken some spending money with me and kind of had my heart set on getting one of his outfits. However, with prices starting at 4000 Dirhams (which is approximately £700) I just couldn't justify such a purchase, especially when I don't even have a special occassion to wear it to! You don't know how much I wished there was a sale rail, but alas there wasn't. 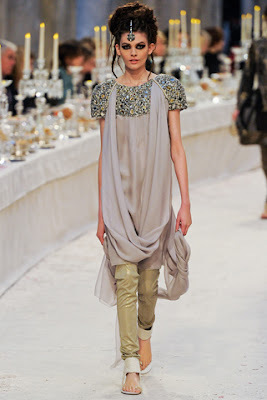 Although I was just a window shopper and left empty handed, I didn't feel any snobbyness from the staff in the store and browsing all the beautiful outfits was an enjoyable experience for me. 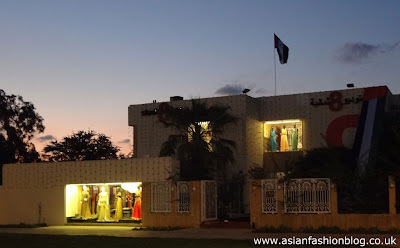 Has anyone visited or bought anything from Studio 8 in Dubai? What were your experiences?